From a perhaps surprisingly young age, we can teach children to learn effectively and successfully. Learning to learn is to do with training children to become responsible, self-aware, reflective, and increasingly independent learners. It is also to do with giving children opportunities to develop the learning styles and strategies that help them learn best. Given that we have no idea what the children we teach may want or need to learn in the future, equipping them to become competent and confident life-long learners is one of the most important things we can do. Even with very young children, it is both possible and important to include ‘learning to learn’ as an integral part of our lessons and to get children to think explicitly about how they learn (the process) as well as what they learn (the product). We also need to mediate in our lessons in a range of ways which build up children’s confidence and self-esteem, lead them to set personal learning goals, overcome challenges, and regularly review and assess their own individual progress and learning. In terms of knowledge, our goal is for children to develop self-knowledge and self-awareness (what I am like and how I learn best). In terms of skills and strategies, our goal is for children to develop i) metacognitive strategies which involve reflecting on the learning process, such as planning, comparing, hypothesising, self-questioning ii) cognitive strategies which involve specific thinking skills and relate to specific tasks, such as classifying, sequencing, matching, predicting, deducing as well as reference skills and iii) socio-affective strategies which involve cooperating and collaborating together, such as sharing, turn-taking, active listening, working in pairs and groups, giving and receiving peer feedback. In terms of attitudes, our goal is for children to develop attitudes such as initiative, responsibility, curiosity, interest, perseverance, confidence and positive self-esteem. 1 Strategy training e.g. through modelling, explanation, practice and transfer to new context contexts or tasks. 2 Reflecting and reviewing e.g. through the use of regular end of lesson and end of unit reviews, learner diaries, self-evaluation sheets or self-assessment questionnaires. 3 Talking about learning e.g. through class discussions, “conferencing” with individual children, always showing that you value individual views. 4 Negotiating e.g. establishing a class contract with agreed rules and codes of behaviour. 5 Establishing parameters e.g. clear routines and responsibilities, clear aims and learning objectives (also set by children themselves). 6 Opening eyes e.g. to different ways of organising learning such as, for example, using mind maps to record vocabulary. 7 Supporting planning e.g. through helping children plan work by using structured questions, brainstorming or mind maps. 8 Setting tasks to develop a range of cognitive skills e.g. prediction, hypothesising, comparing, logical deduction and which appeal to different learning styles. 9 Expansion e.g. through providing opportunities to extend and transfer knowledge, strategies and skills to new areas. 11 Helping children collaborate e.g. by structuring the way into pair and group work tasks, always showing that you value cooperation. •	It helps maintain motivation. •	It promotes children’s active involvement in their own learning. •	It builds up confidence and self-esteem. •	It encourages children’s awareness of their own progress. •	Skills and strategies are transferable to other subjects and areas of learning. •	It encourages children to set high personal standards. •	It helps to improve social skills. •	Children take on increasing responsibility for their own learning. •	Children become increasingly self-aware, reflective, organised and independent learners. •	Life in the classroom becomes easier for you! It would be great to hear your views and experiences of supporting children ‘learning to learn’. Please do share! 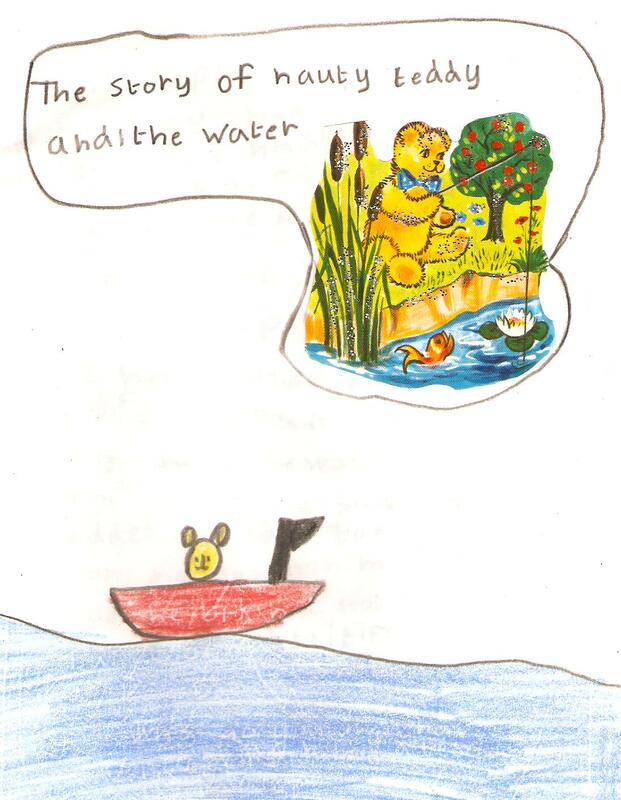 Naughty Teddy and the water story review and picture are by Jamie Matthews (when he was 6). I agree with you learner training can start young. Small steps lead to bigger things. I like to start with infants as young as 4 – 5 at this age there are small things that you can do to make them responsible for their work simply by putting it physically in their own tray in the classroom they are taking part in the process. Learning to learn is one of the ‘buzz words’ this year in Spain with the introducton of the key competences to the state schools. More time needs to be spent showing teachers how to teach this very valuable skill. Many teachers do this very well. Particularly infant teachers but, then in primary (7-8) it sort of gets lost. More time needs to be spent at this age developing lifelong learning skills. Thanks for the list of 12 it’s very useful to have. Nice post and good to see you back. Good to hear from you again and many thanks for your insightful contribution. I completely agree with you that there are many things we can do to start learner training with infants (Montessori methods come to mind for example about things like sharing and tidying up) and you’re right that learner training tends to get lost as children go up through the primary years. I think this is often because there’s more pressure to get through a syllabus then and not much time, and so attention to learning to learn tends to get squeezed out. Teachers also sometimes feel that it’s too challenging to attempt things like learning reviews in English, and at the same time don’t want to resort to using L1. All a bit of a balancing act but I’m personally convinced it’s worth it. So glad you think the list of 12 is useful! Good to be back too! I’ve used reflecting and reviewing with my primary children and it’s become clear to me that it helps students understand some of the reasons why we do a number of activities. Among the items we reflect about is whether we worked alone, in pairs in groups or as a whole class. It’s helped the children understand that we do certain tasks in certain ways because it helps us use the language we are learning. They know that pair work and group work are for talking because we need someone to talk to. 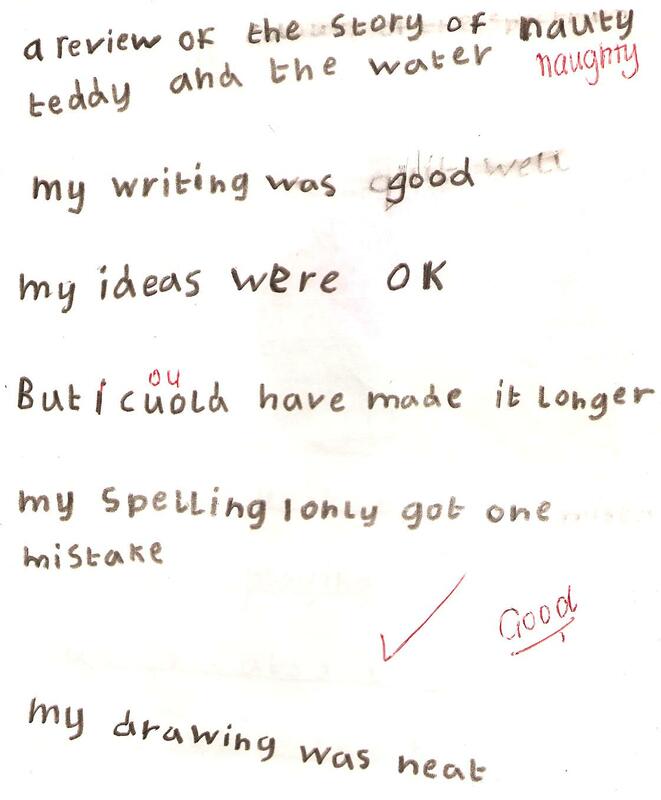 It’s helped their behaviour as they’ve realised that it’s fun, but it’s fun with a goal – to speak English! It’s also helped classroom management, as key phrases are used when reflecting, which help when setting up activities. We forget that it’s not always obvious why we do certain things in English, especially when they are different to the normal mainstream activities. Reflecting helps explain this is a child friendly way. Many thanks for making every thing so clear in your postings Carol, a truly great site for teachers … I regularly remind the teachers group here in Portugal to check you out! Lovely to ‘see’ you here again and many thanks for sharing your thoughts. That’s a great point you make about getting children to reflect about how and why we do certain activities in order to help them understand that when we’re working in pairs and groups, we’re not just playing and having fun but there’s a learning reason for it too. This is so important and, as you say, can have a very positive knock-on effect for behaviour and classroom management too. In learning reviews at the end of lessons, as well as asking questions about what did we do I always try and include questions about why we did it. This can also help with positive messages children take home – so that parents get to hear about the reasons for doing things such as playing games too! Thanks very much also for spreading the word about the blog to Portuguese teachers – and will be wonderful if they’d like to contribute and share their thoughts and experiences too!